Android Police has teamed up with Polk Audio to gift two of their fans with brand new audio bars! To enter in this Polk Audio Command Bar Giveaway grab your free entries by following few simple steps listed down below! 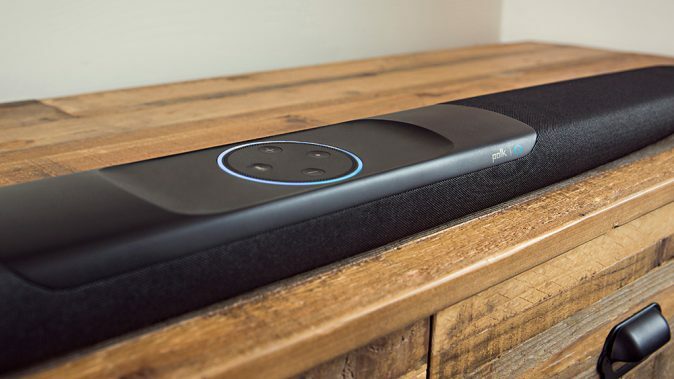 The Polk Command Bar – The home theater sound bar system with Alexa built-in. Integrated far-field microphones and Alexa voice services Use your voice to control the sound bar With Amazon Multi-Room Music and the Polk Command Bar, play and control your music across multiple Amazon devices. Ask Alexa to stream your favorite song, and hear it throughout your home Patented Voice Adjust technology for crystal clear dialogue Wireless subwoofer for deep bass 4K HDMI ports Fully compatible with Fire TV (sold separately) Includes HDMI and Optical cables for quick and easy setup.